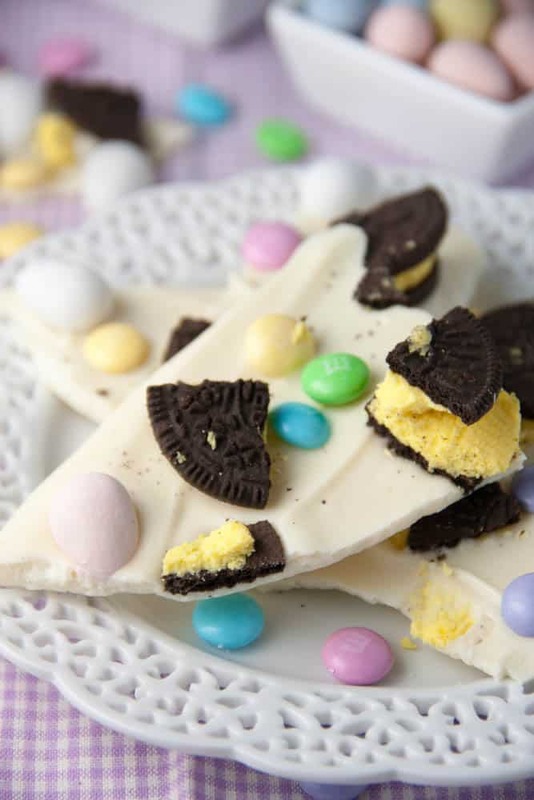 Just 4 ingredients to make this fun and festive White Chocolate Easter Bark with Oreos and M&M’s! Happy almost Easter and Good Friday! 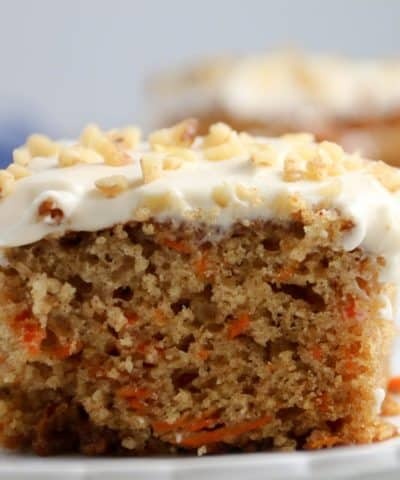 🙂 So after sharing with you my roundup of over 40 Easter desserts, I got inspired to make one last quick one this week. What Is Chocolate Candy Bark? Chocolate bark is basically a sheet of chocolate that has different things pushed into it before it cools. Nuts, dried fruit, really anything. 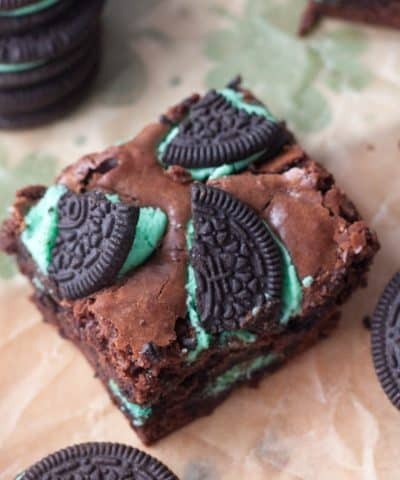 For this recipe I put Oreos, mini Cadbury eggs, and M&M’s. I just seriously love how easy candy bark is, and how customizable it is to the holidays. Like my Candy Cane Marshmallow Bark for Christmas. 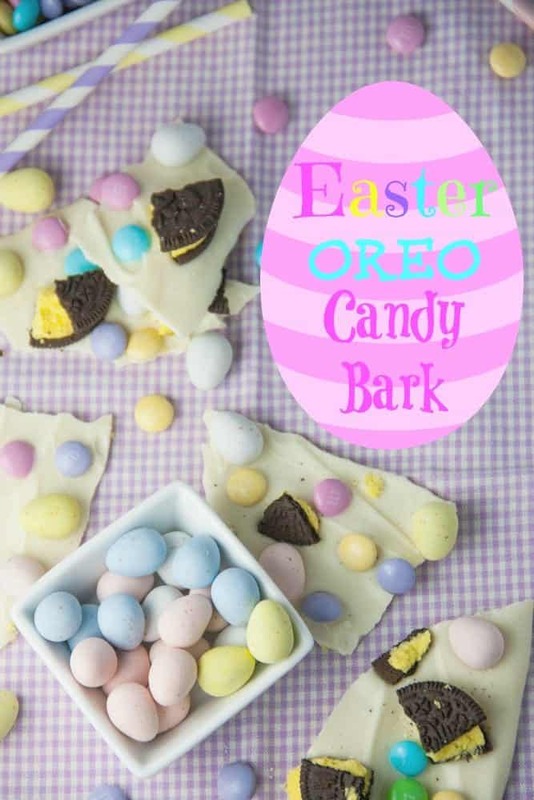 I remember when I made that bark recipe, I kept thinking I should have added Oreos! Seriously, been kinda obsessed with Oreos lately. 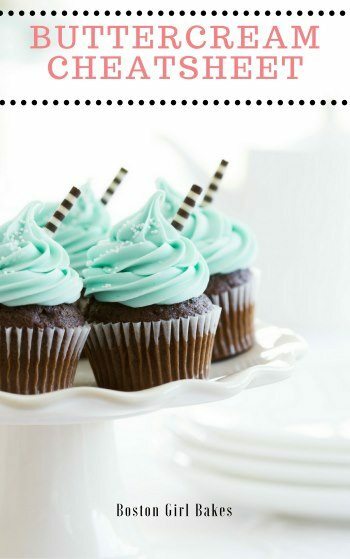 Like these Mint Oreo Stuffed Bailey’s Chocolate cupcakes for St. Patrick’s day. Did you catch those? Oh my word. It should be wrong to stuff an Oreo in a cupcake. But I’m so glad it is isn’t. That’s not a world I want to live in if it is. So when I saw these Spring Oreos on the shelves I got inspired to do one last Easter treat for you all. And in less than a half hour, I had an entire pan of white chocolate and pastel bark staring at me. 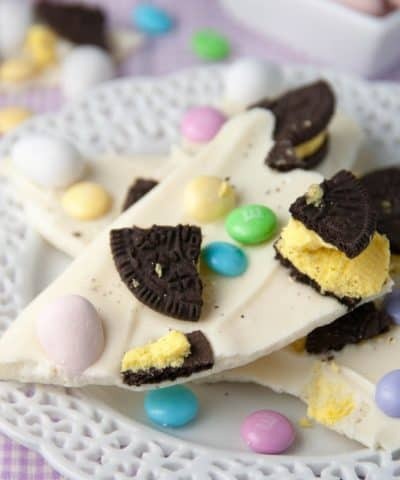 Oh hello pretty Easter chocolate bark. But you can add sprinkles, add pretzels. Whatever YOU want. Basically you don’t need a recipe for candy bark – it’s just so darn easy. How Do You Melt Chocolate Bark? Let’s talk about melting this chocolate down shall we? Two methods- stove or microwave. I’ve done both. Really just depends on your mood. White chocolate I find melts much faster than its chocolate cousins. I opted for sticking this on a double boiler on the stove, and over medium heat it was melted in less than a minute. So do not walk away. I repeat, do not walk away. If you melt in the microwave, you want to melt in 30 second intervals. The chocolate may appear to not have melted and keep its shape. Just give it a stir and repeat with another 30 seconds until completely melted. 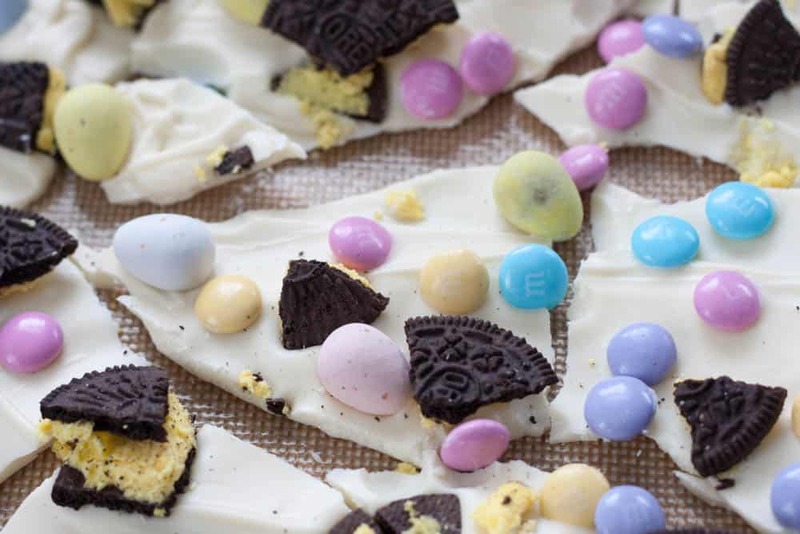 Chocolate Candy Bark couldn’t be easier. You can use any kind of chocolate you want- I stuck to white chocolate only this time. But you could use milk, dark, white- or a combination of both. Pro Tip: If you decide to use more than one kind of chocolate allow the first layer to cool in your fridge for 20 minutes before pouring your next layer over. Any longer and your risk the layers separating on you. 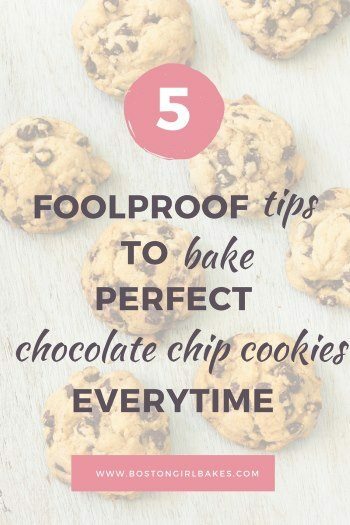 Then it’s time to pour onto your cookie sheet. I highly recommend in using a silicone baking mat. It really does work better for this situation. I adore my silicone baking mats- and love that it came in a set of 2. I use them all the time. And I mean all the time. Now of course comes the fun part. Candy. And since it’s Easter- all the pretty pastel candy. Let’s meet the contestants…. 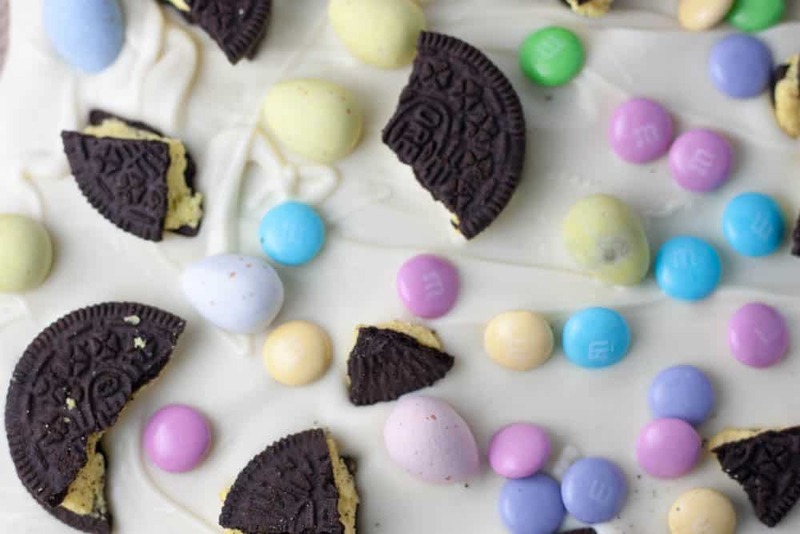 That’s it- 4 ingredients for this Easter Oreo Candy Bark..
Just give them a quick smoosh into the melted white chocolate and you’re done! Of course, I mean you have to wait around until it sets up. Then its time for the fun part. Breaking up the candy bark! No rhyme or reason here folks- just get in there with your hands and break up into whatever sized pieces you want. Use good quality chocolate. You can’t make it here. 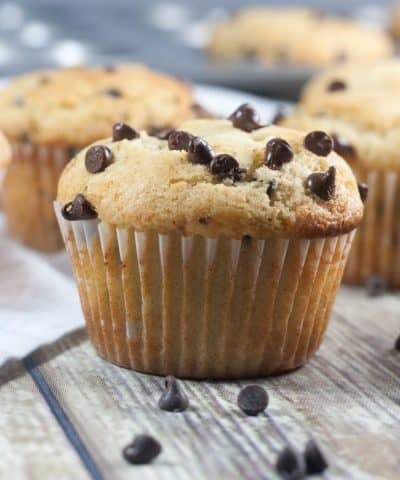 I used Ghirardelli which is great go to store brand for me! Do not let your chocolate burn! Basically don’t walk away and catch up on your Netflix shows. Just remember to STIR. Store in an airtight container. In plastic wrap first if you are placing in the fridge. 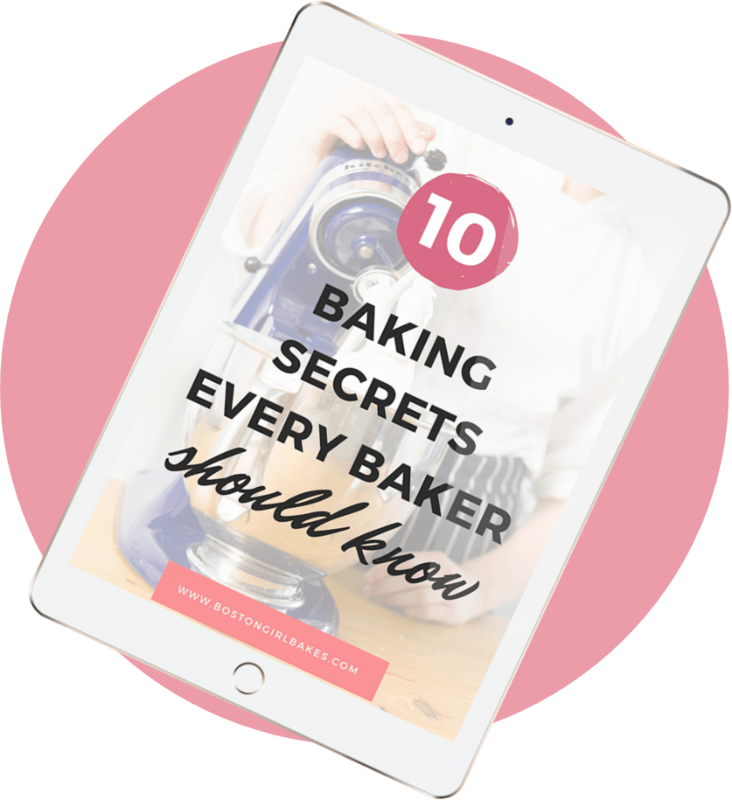 How Long Does Chocolate Bark Keep? Chocolate bark can keep for 3 to 6 months. Just keep it well covered. If you place it in the fridge you want to protect it from odors and condensation wrap it tightly in plastic wrap then place in an airtight container. When ready to eat, unwrap it and let it come to room temperature before enjoying. 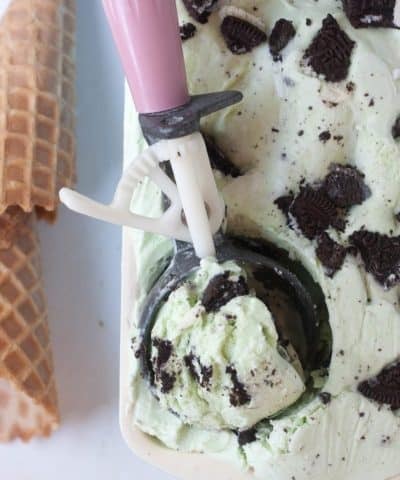 This would be such a fun treat to bring to an Easter dinner. Trust me, everyone will sneak a piece! 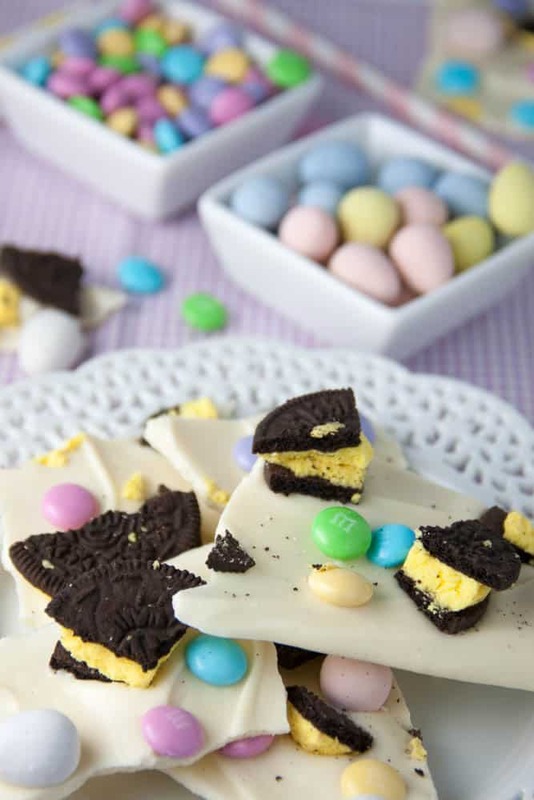 White chocolate bark topped with Oreos, M&M's, and Cadbury mini Eggs! Prepare a cookie sheet with parchment paper or silicone baking mat. In a double boiler- add your white chocolate chips. Stir until melted. 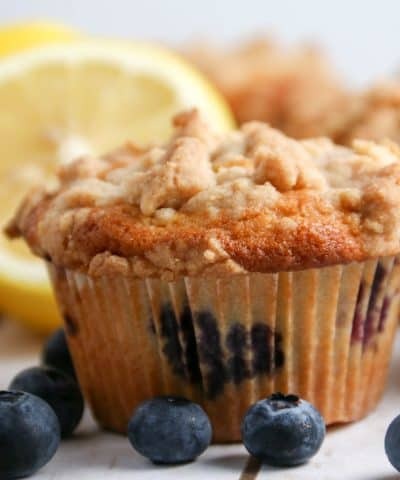 If you use the microwave- place in a microwave safe bowl and microwave at 30-second intervals. Be sure to stir in between each interval. 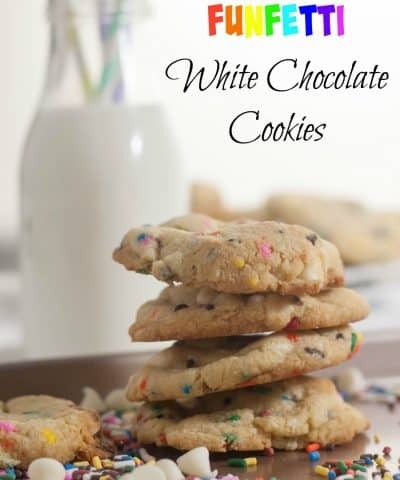 Be careful and do in short bursts- white chocolate burns faster than milk or dark chocolate. 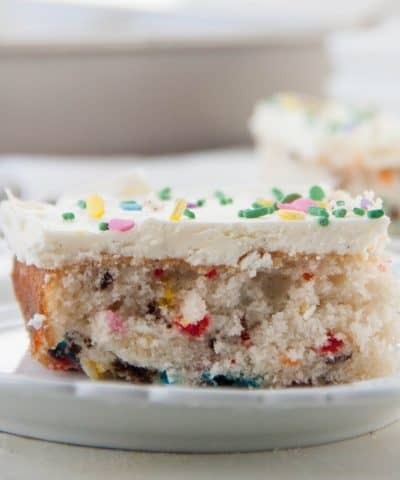 With a spatula spread the white chocolate onto your baking mat. 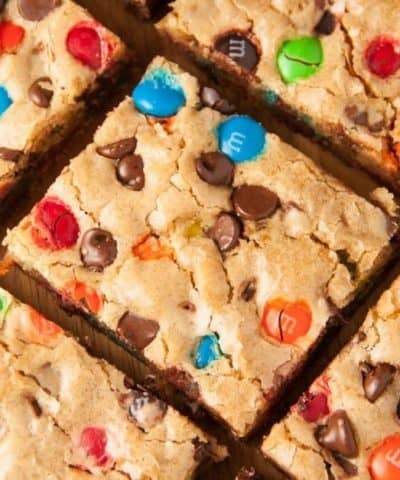 Top with the candies and cookies, giving a slight press into the chocolate. Allow the bark to harden completely. Break into small pieces and enjoy! Use good quality chocolate. You can't make it here. 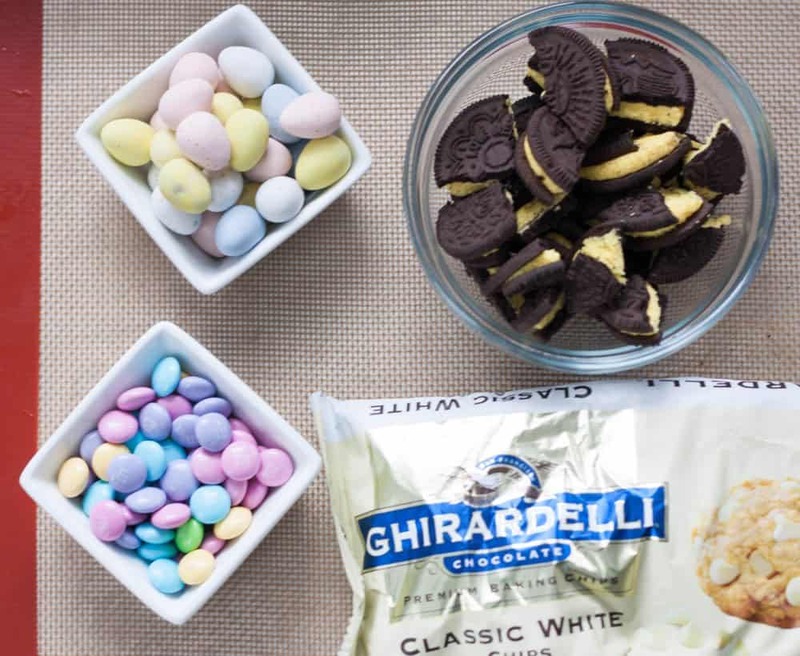 I used Ghirardelli which is great go to store brand for me! Do not let your chocolate burn! Basically don't walk away and catch up on your Netflix shows. Just remember to STIR. If you do decide to layer- spread the first layer on your mat. Referigerate for 20 minutes before spreading the second layer on. Love this idea! 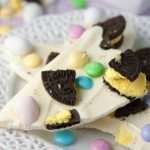 I still need to try making candy bark one of these days! Cathleen it’s so much fun and so easy! Have fun making it when you do make it!